What if you’ve been looking for confidence in the wrong direction? Don’t let a lack of confidence get in the way of the things you want to do in the world. Women and Confidence will show you how. And so we continue to sit on our great ideas instead of sharing them; continue to hide out in our work; continue to not speak up; continue to defer to others. 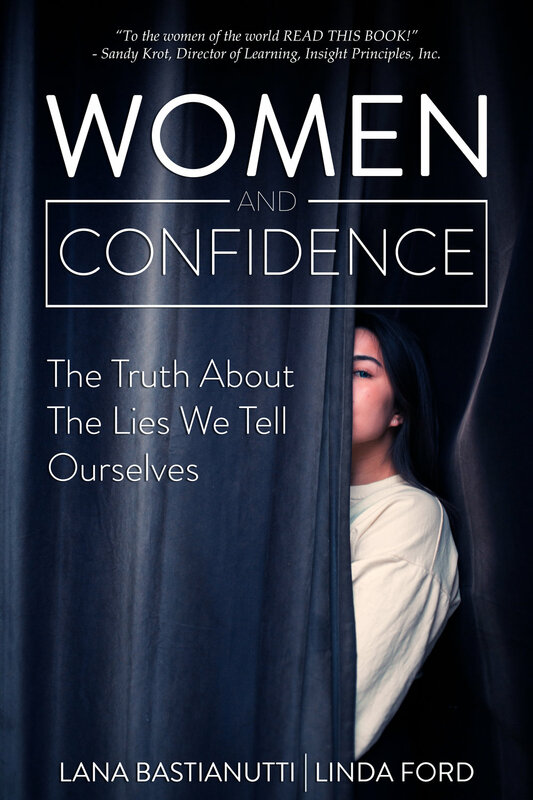 Authors, Lana Bastianutti and Linda Ford, share their own personal stories--what they share is eye-opening, because it gets to the core, the source of why we're insecure. Hi, I’m Lana. I’m a professional certified coach, author, podcaster, blogger and mentor and I love to wake women up to their own worth so that they can make an impact in their work and in their lives. While the days of women encouraged to be shrinking violets are long gone, too many of us still find ourselves holding back and staying in the shadows - whether personally or professionally - because of feelings of insecurity and doubt. No more. Hi, I’m Lind Ford. I’m a certified master coach, author, podcaster, and teacher. And I have a soft spot for smart, talented, and brilliant women, who despite all of that, continue to hold themselves back in their work; continue to second-guess their ideas instead of sharing them; and who hide out in life because they never feel good enough.